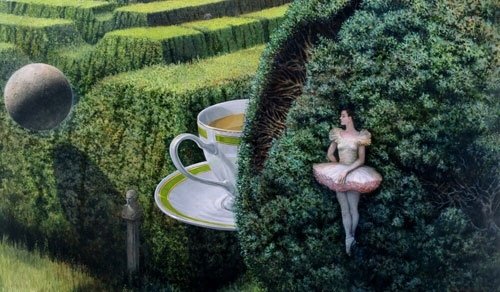 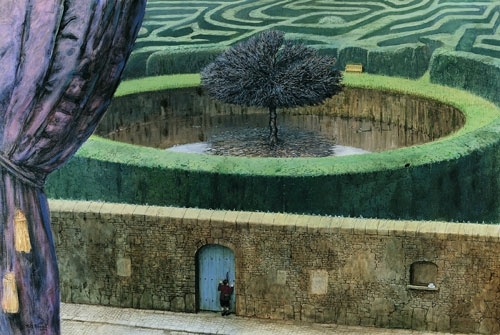 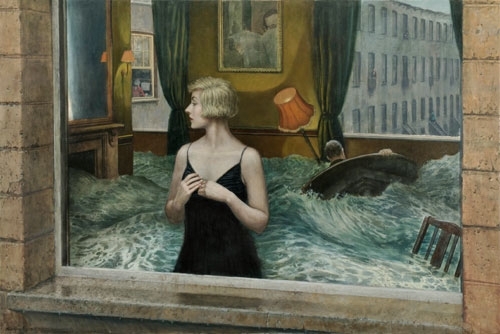 Surreal paintings that are enhanced by a personal narrative for the viewer. 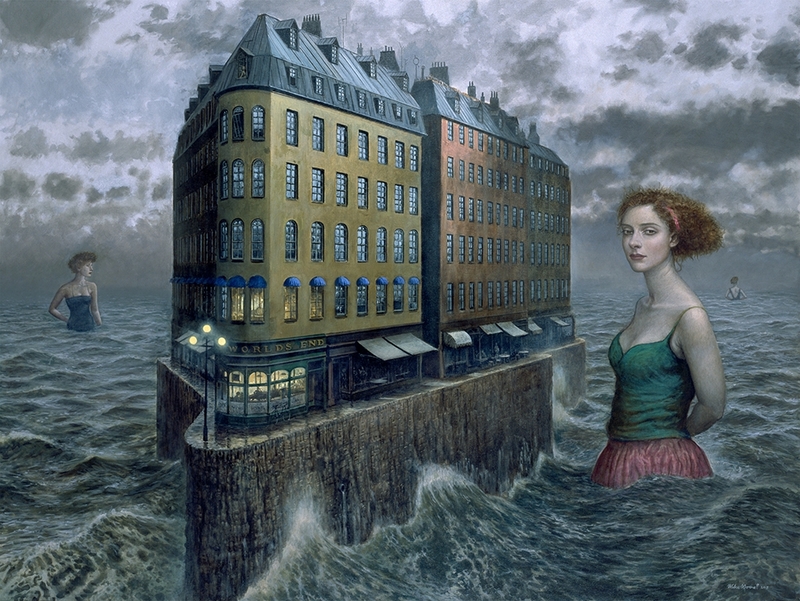 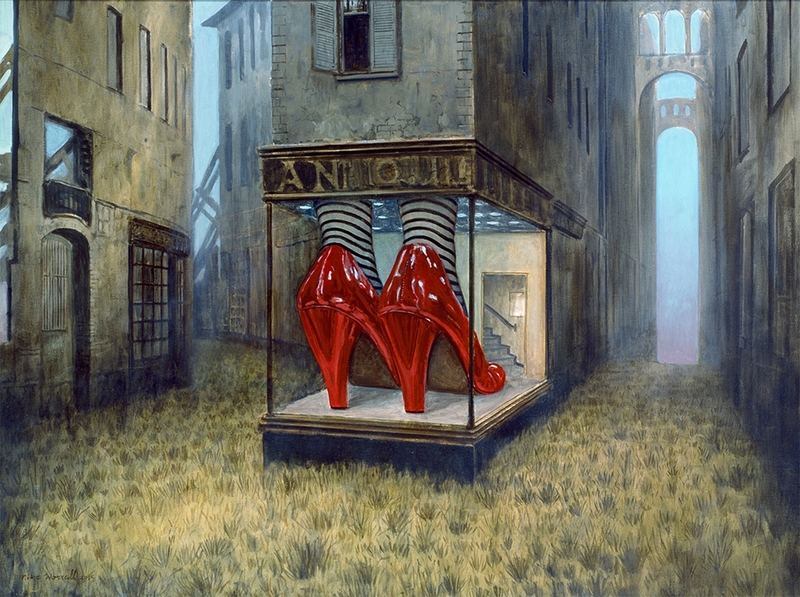 British artist Mike Worrall, now working in Australia, paints many different themes, the ones I gravitate towards are his surreal ones. 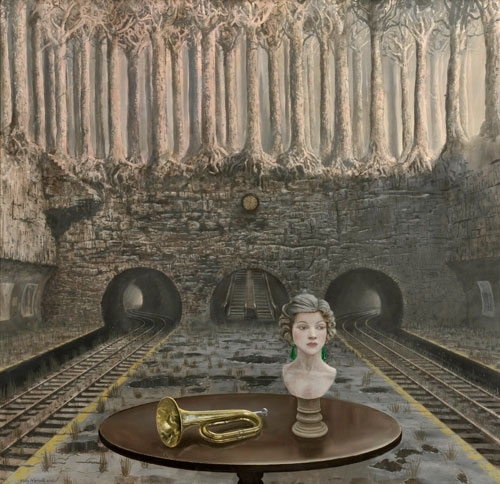 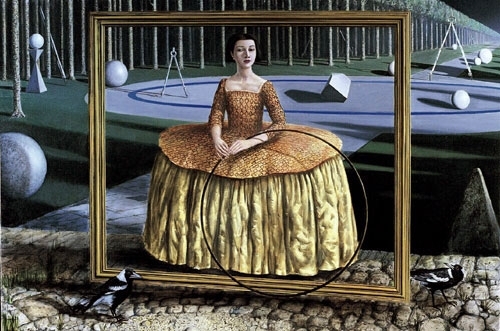 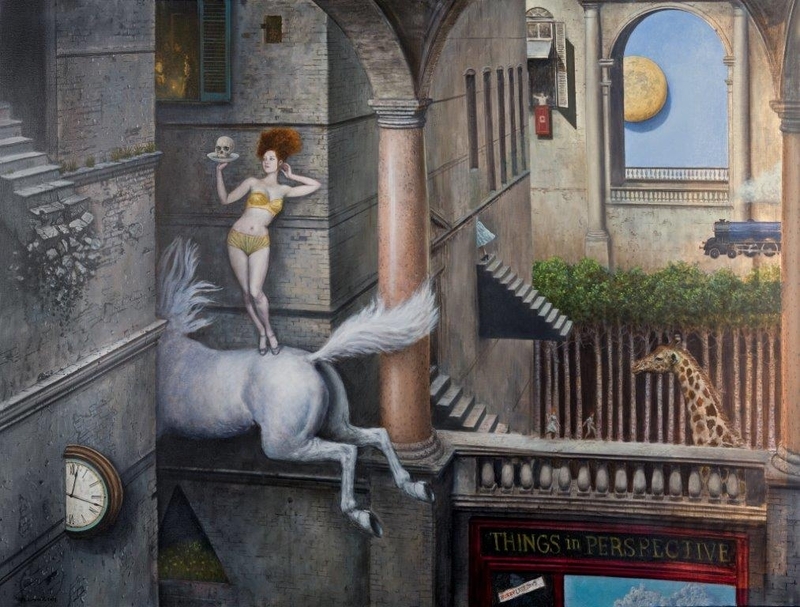 Worrall explain that his doesn't have a hangup about finding meaning behind every one of his surreal paintings and that is happy to let his viewers find it for themselves, as it ads a more and lasting interest, to his pieces. 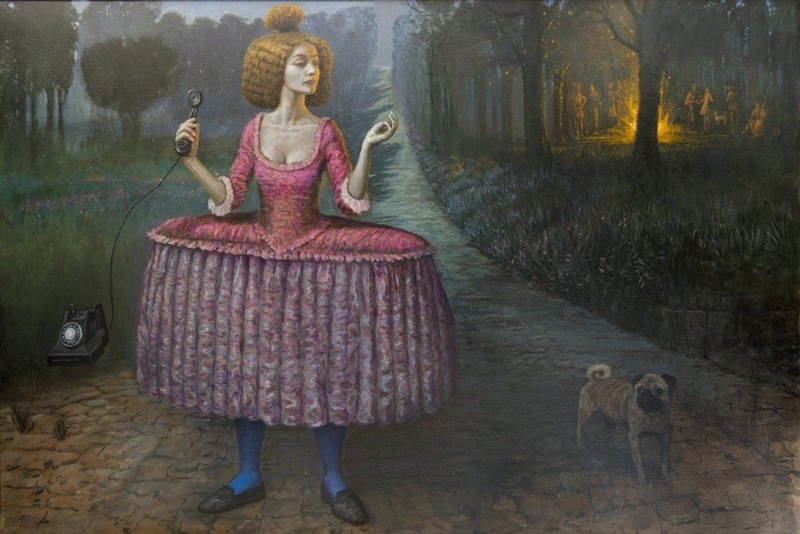 His art is exhibited in Australia and abroad with collector of his work, all around the world. 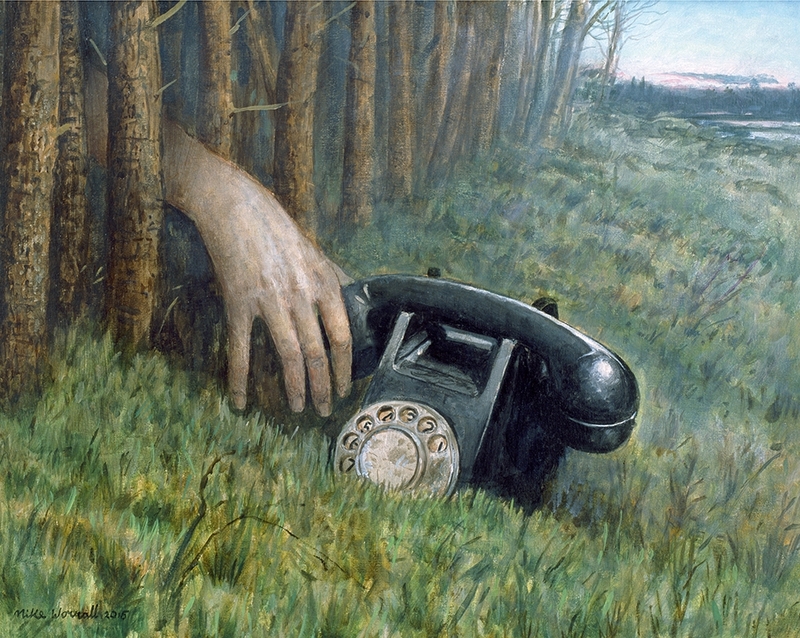 The Suburb of Derelict Dreams.